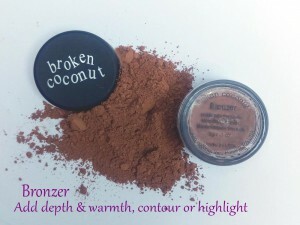 Broken Coconut. 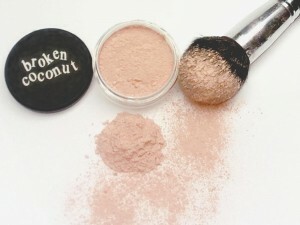 THE SIMPLE MINERAL MAKEUP FORMULA WITH ONLY FIVE INGREDIENTS! Seracite mica, Kaolin clay, Zinc oxide,Titamium dioxide, & Iron Oxide. 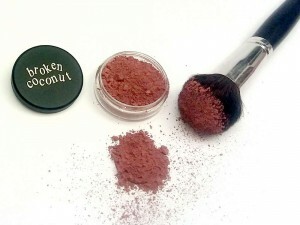 Broken Coconut does not add inexpensive fillers like talc & corn starch, known skin irritants such as bismuth oxychloride, or dyes, such as carmine. 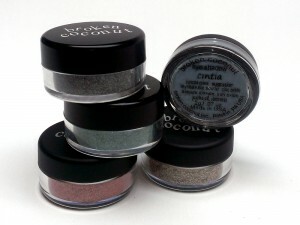 MINERAL LACE Our beautifully formulated Mineral Lace is an ultra-fine loose powder that provides a flawless, airbrushed matte finish. 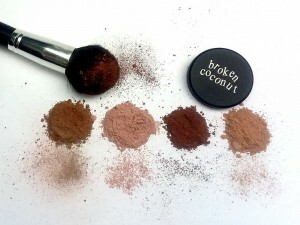 Enhance your natural skin color. Simply weightless. CRUELTY FREE PARABEN FREE FRAGRANCE FREE TALC FREE MINERAL OIL FREE INGREDIENTS: Kaolin Clay,Magnesium Myristate, mica, Zinc Oxide, Titanium Dioxide & Iron Oxides. 3 grams - $7.95 5..